Change to what constitutes a defect that is actionable under the Home Builders Warranties. 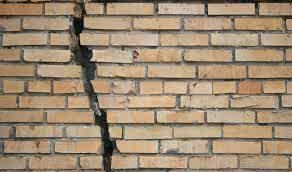 Structural defects will no longer be the threshold at which an owner can seek the assistance of statutory warranties. The test is now “A major defect in a major element”, which essentially means there is a severe defect that makes the premises uninhabitable. • a defect prescribed by the regulations, of which there are none prescribed at this time. Another major change in this area is the reduction of statutory warranties from six years to two years. This change generally applies retrospectively to building contracts entered into from 1 February 2012. This ultimately will have a major impact for those who have entered into building contracts since 2012 that are of the understanding that they have a six year statutory warranty, when in fact they are having their statutory warranty reduced to two years. Any matters that were commenced prior to January 2015 will still attract the same six year limit, however if there is an owner who has a statutory warranty claim to make, that has not yet begun proceedings at the beginning of this year, the likelihood is that they will have the reduced statutory warranty period of two years.